Measles infections in the United States have soared to the highest level in two decades, with nearly 300 cases so far this year — and still climbing, federal health officials said Thursday. At least 288 cases had been recorded in 18 states and New York City as of May 23, boosted mostly by a huge surge in Amish communities in Ohio, where the recorded total of 138 infections was eclipsed even before the new government report came out. 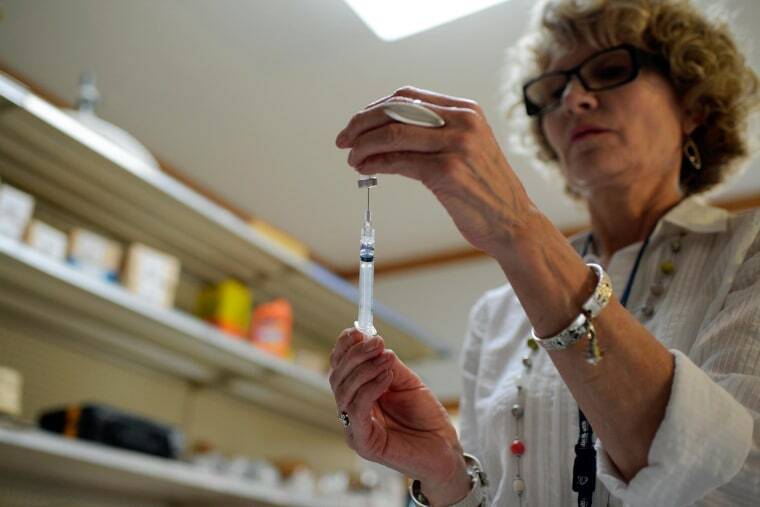 That's the most cases for this time of year in the U.S. since 1994, when 746 cases were logged by May, said Dr. Anne Schuchat of the CDC's National Center for Immunization and Respiratory Diseases. That year, the U.S. saw 963 total cases, a mark no one hopes will be repeated. "This year, we are breaking records for measles," Schuchat said. "This is a wake-up call." Fueling the record rise are measles infections imported by unvaccinated travelers who brought the highly contagious virus home to equally unprotected communities. Some 97 percent of the measles cases reported so far have originated in other countries. About 70 percent have occurred in people who were unvaccinated, mostly for religious or philosophical reasons, and another 20 percent were in people whose vaccination status couldn't be confirmed. About 10 percent of cases were in people who'd received at least one dose of measles vaccine, the CDC said. Cases have been confirmed in people as young as two weeks and older than 65 years, CDC officials said. The most common complication so far has been pneumonia. No deaths have been reported. The outbreak in Ohio was first detected when four unvaccinated Amish community members showed evidence of measles infection following a March trip to the Philippines to offer humanitarian aid to typhoon victims. Since October, the Philippines has experienced a huge measles outbreak, with more than 32,000 cases and more than 40 deaths, Schuchat said. Members of the Amish community who are normally reluctant to vaccinate their children have since flocked to makeshift clinics for measles shots, health officials said. In Ohio, state officials have logged 164 cases in six counties, surpassing the reported CDC totals. They have offered free clinics and found additional cases by going door to door, said Jackie Fletcher, director of community and health services for Knox County. "We have tried to stay ahead of it by offering free MMR clinics, doing as many as we can in the vicinity of the Amish," she told NBC News. Overall, outbreaks this year have been reported in 15 states, with the largest outbreaks in New York, with 26 cases, and California, with 60 cases, CDC officials said. Most people in the U.S. are immune to measles, either through vaccination that began in 1963 or because they had the disease. The worry is for unvaccinated people, especially children, who are particularly vulnerable to the disease, which can cause seizures, permanent brain damage or deafness. Measles has been considered eradicated domestically since 2000, but at its peak, the virus killed 500 people a year in America and hospitalized about 48,000. Measles is highly contagious because the virus can linger in the air for hours. Symptoms include a fever and rash, along with cough, runny nose or pink eye. The CDC urges vaccinaton for everyone starting at age 1. For children traveling internationally, CDC recommends that babies as young as six months get one dose of vaccine before any trip. "We can stop this from being an even greater problem if people who are not vaccinated get their vaccines," Schuchat said.